Winning the one-Michelin star for 3 consecutive years now, Alma by Juan Amador is a restaurant that enthrals with their creative Asian-inspired spins on European nosh. Helmed by Executive Chef Haikal Johari, diners can definitely expect to be spoiled with tasty, impressionable delights as well as great wine. In celebration of their 3rd year anniversary, the restaurant and their team of talented chefs have meticulously crafted out a brand-new dinner menu that is set to amaze diners, old and new. Focusing on contemporary European dishes that are paired heavily with Asian influences, Japanese flavours take centre stage in their splendid array of dishes this time around. 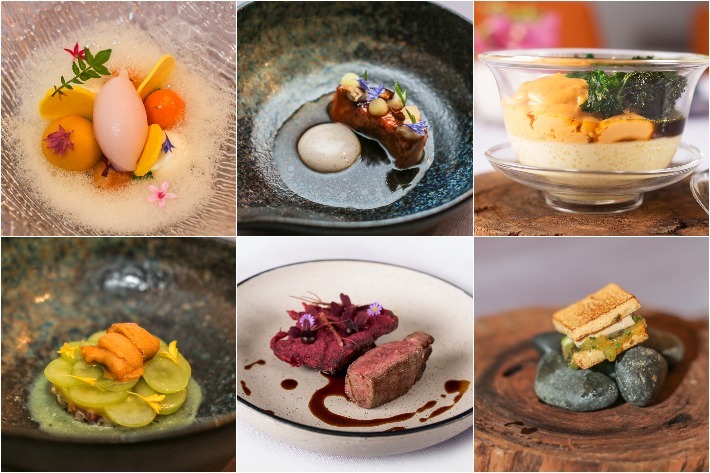 Available in 4-course ($S117++), 6-course (S$158++) and 8-course (S$197++) options, the tantalising dishes present to diners flavours that are exhilarating, innovative and familiar, all at once. 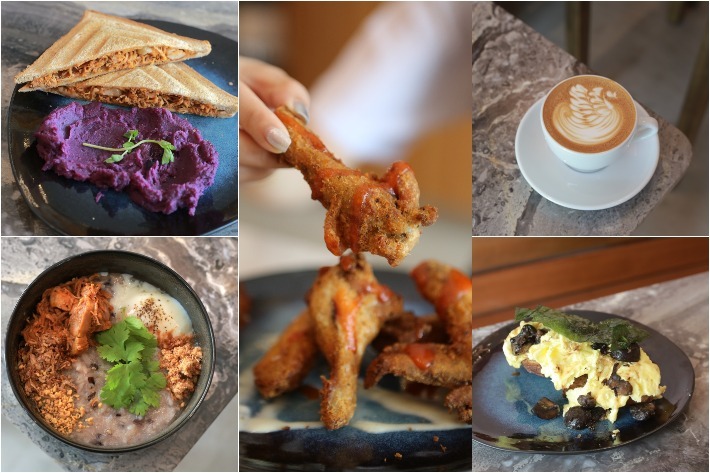 Tucked away at Upper Serangoon Road next to the old Upper Serangoon Shopping Centre is newly-opened, Amber Ember. Exuding a simple yet charming vibe, the interior is decked out in marble and wooden furnishings that are neatly decorated with potted plants and paintings, making it a nice place to retreat to and a great place for photos too. Here, they sell a variety of brunch-style fare such as jaffles (a type of toastie that bears no similarity to a waffle), scrambled eggs on toast and coffee, but with an added twist that differs slightly to your average cafe food. % Arabica Coffee, famous coffee shop from Kyoto, is finally opening its first outlet in Singapore at 56 Arab Street. Given how Singaporeans are such caffeine addicts, there is certainly no shortage of cafes and coffee bars dedicated to offering high quality brews. As we see more Japanese concepts—Kurasu Singapore and Omotesando Koffee—opening up one after another, we are more than excited for the addition of % Arabica Coffee right here in Singapore. According to % Arabica Coffee’s Instagram account on 31 March 2019, the space is ready for the final check by next week and if everything goes smoothly, they will open by this weekend. You can have a taste of their signature brews at (place) when % Arabica Coffee officially opens to the public. Occupying floors 25 to 39 of the Duo Tower and towering over the beautiful Kampong Glam enclave is the latest lifestyle hotel brand, Andaz Singapore. Boasting marvellous skyline views and a sensational snippet into Singapore’s vibrant dining scene is Alley on 25, an immersive novel dining concept that shares the hotel lobby of Andaz Singapore. An F&B destination in its own rights, you’ll find various different restaurant concepts, a bar and a lounge that cohesively share the space; each of them with its own identity and no two concepts are alike. It is like stepping into a different world despite being in the same zone; it is one enthralling alley. Inspired by Singapore’s vast and fluid dining culture, tuck into a splendid array of edible delights from hearty stews and family-style roasts from The Green Oven, charcuterie, a variety of cold dishes and locally-inspired desserts from Icehaus, to rustic modern Asian fare from Smoke & Pepper. Aqua S—Sydney’s famous soft serve shop—is opening in Singapore. For all the dessert fans out there with an incurable sweet tooth, be prepared to get the sugar rush of your lifetime. 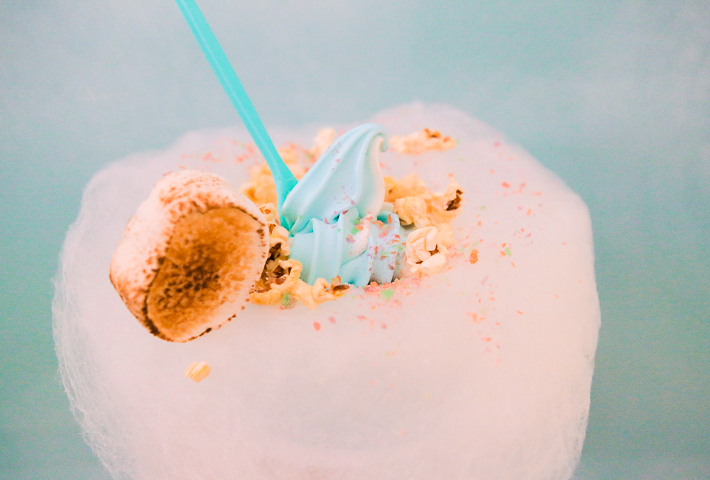 Aqua S’ famous blue-hued soft serve has taken the internet by storm and stunning pictures of this dessert have flooded our Instagram feeds ever since it was founded in 2016. The mastermind behind these whimsical desserts, Aqua S, will be opening their first outlet in Singapore at Orchard Xchange. Here’s what you can expect besides insanely long queues. Bangkok’s hipster market returns once again and yes, it is none other than the immensely popular Artbox. For those who have been anticipating this year’s edition, there is so much to look forward to as Artbox Singapore 2018 is bigger and better than ever. 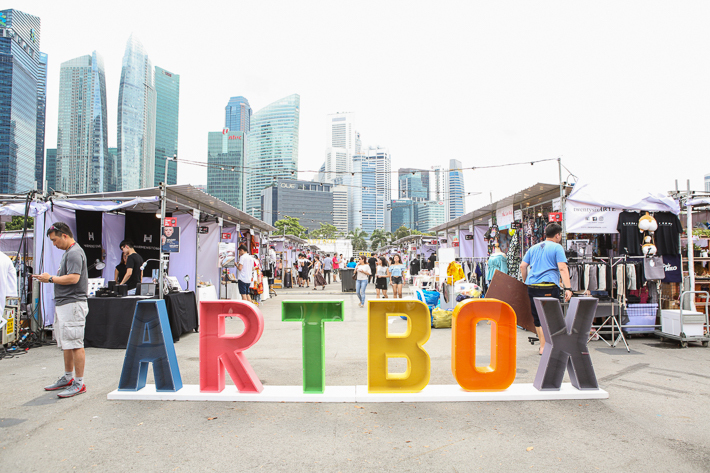 Comprising more than 200 retail booths on rotational basis over two weekends from 25 to 27 May and 01 to 03 June 2018, Artbox Singapore is THREE times bigger than last year. 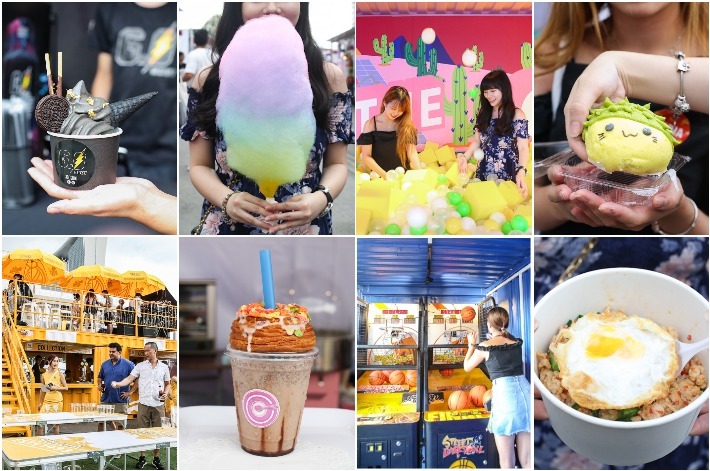 Shop your way through the lifestyle and fashion stalls from Thailand and Singapore, satisfy your palates with food from over 160 F&B booths, play an exciting round of Beer Pong at the beer garden and jump into the foam pit with your friends! While there are many things about Japanese cuisine that we love, few are able to satisfy our cravings for crispy, greasy delight as well as a hearty tonkatsu. Be it in the form of meat, poultry or seafood—anything coated in egg and panko breadcrumbs and fried to golden perfection warrants our attention. 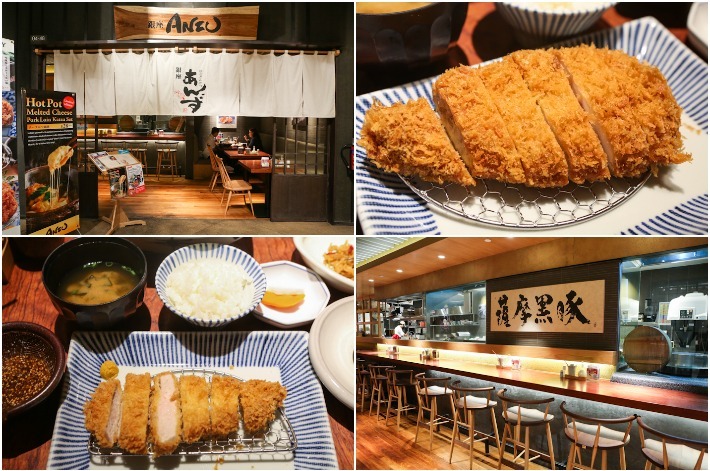 Anzu—a popular tonkatsu restaurant from Japan—at Wisma Atria’s Japan Food Town specialises in tonkatsu and it features a remarkable range of katsu offerings on their menu. 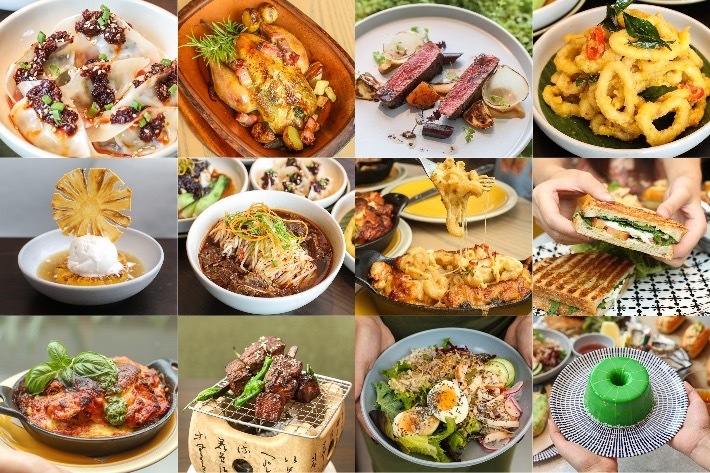 Tonkatsu joints may be in abundance in Singapore, but if you are someone who values great service on top of delicious food, then Anzu is a place you have to pay a visit to. Nestled within a residential area, Anthracite Coffee Roasters stands out amongst the buildings surrounding it. 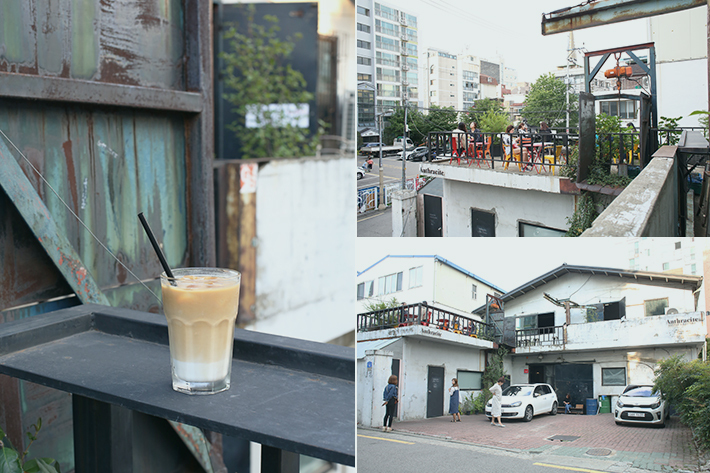 Anthracite Coffee Roasters is a café chain in Seoul, South Korea and this particular outlet in Yongsan-gu is our favourite. The café occupies the entire old building, with an open-space terrace on the second floor. The impressive interior excited us the moment we stepped in. The first floor is the main counter area where the skilled baristas whip up aromatic cuppas for you to enjoy. The backdrop of the counter is a digital wall mural that displays futuristic and cosmic digital art that adds a little something extra to the gorgeous architecture and interior design. You can grab a beverage and snack of your choice and head to level 2, where the main seating area is. If the weather is nice and cool, you can even grab a seat outside on the terrace.